Ellie Kendrick Game of Thrones signed 12x8 inch photo. Ellie Kendrick, Game of Thrones, signed 12x8 inch photo. 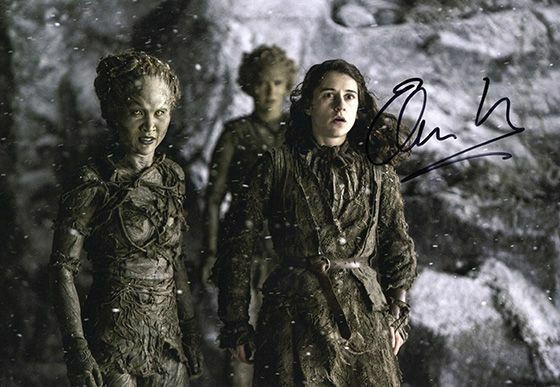 12x8 inch colour photo personally hand-signed in black sharpie pen by English actress, Ellie Kendrick, pictured as Meera Reed in the HBO series Game of Thrones.